I've settled in to my class nicely. Love my kiddos! I am not enjoying the 4-5 meetings I have every week, but I know it comes with the territory. 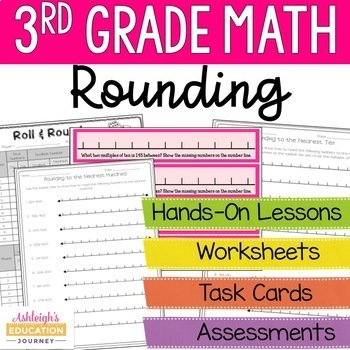 Last week I introduced rounding to my kids. It's not in our math text book, but it is part of the CCSS, so we had to incorporate it. 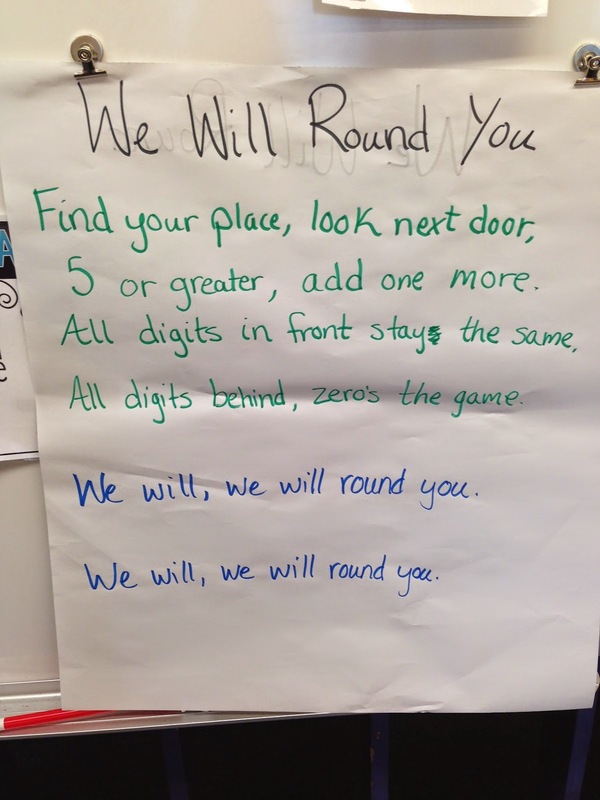 My kids like movement and songs (I've known them since they were in kinder) and I knew I had to introduce some rounding songs. First was the simple phrase: "Five or more, add one more. Four or less, give it a rest." 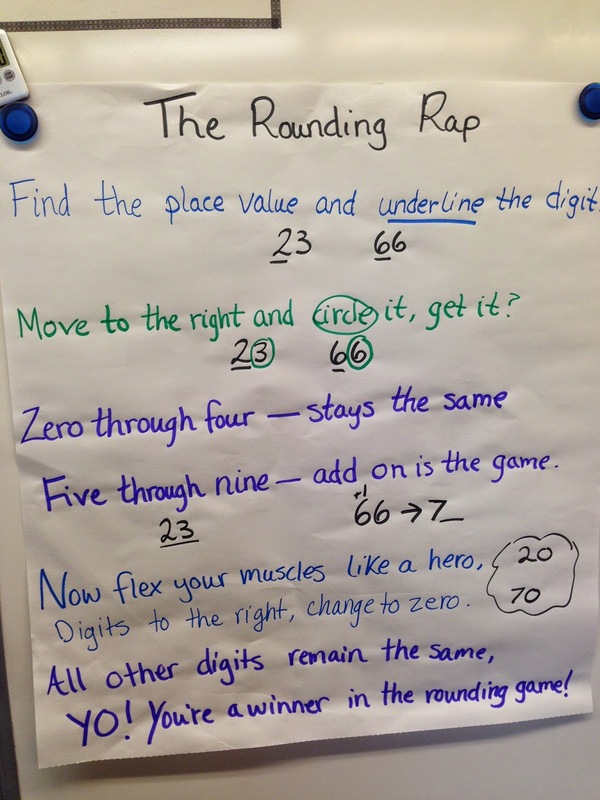 Then I wrote examples on the board ( we started rounding with 10s) and they used that phrase to help them. 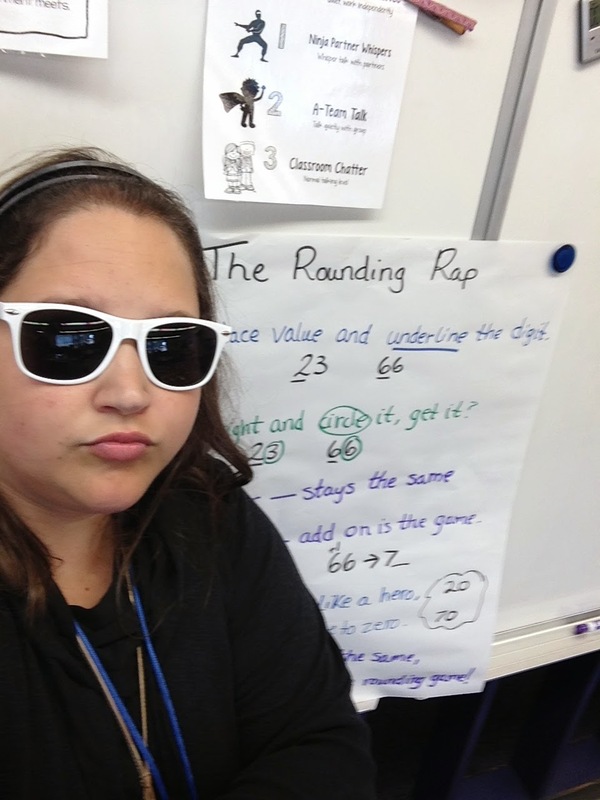 Then I moved on to the Rounding Rap. Add a pair of sunglasses and I became a rap artist and they thought I was the coolest thing ever. I had a few encores and every time was a round of applause (pun not intended!) I may have looked crazy, but if helped one kid, then I have done my job. They did a worksheet right after and blew me away with how they nailed it!!! Next I did " We Will Round You". I had a teacher ask what we were singing as it sounded so fun. 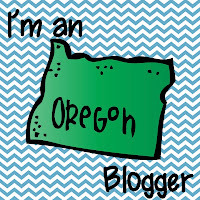 You see, I have a lot of pressure as these teachers all know I do TpT and they expect my room to be "pinteresty". 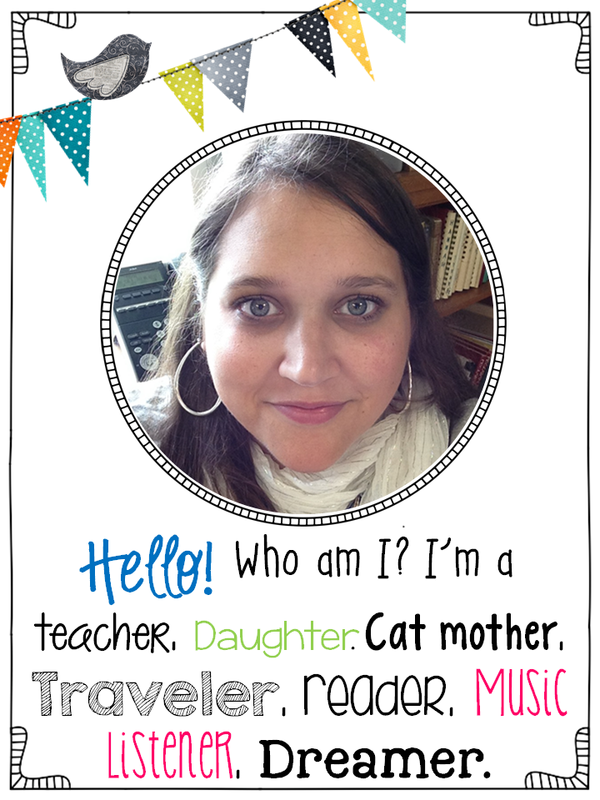 But with only having moved in such a short time, I was more focused on curriculum than "Pinteresty". 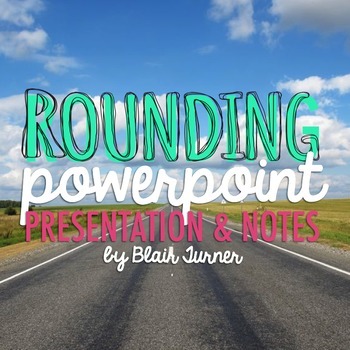 Then my buddy Megan told me about Blair's rounding product. It was very helpful for the hundreds with my kids. Rounding was only a few days, but I think they've got it! 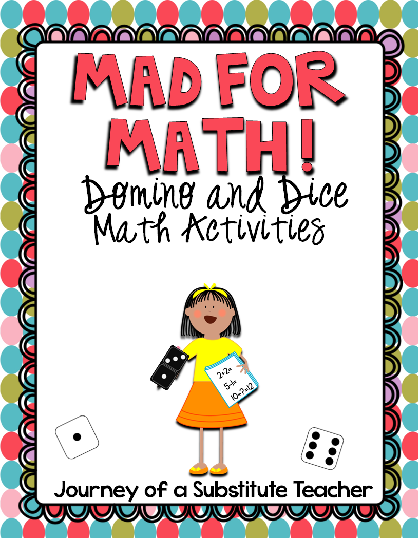 I also used this resource from Ashleigh and the kids did really well. It was a great way for them to practice and for me to see who needed more help. http://www.youtube.com/watch?v=9AynOkEj2GQ. I know the links don't look pretty,but you could cut and paste! Have a great week.